Hands-on land-care, innovation, toil and persistence have seen a transformation from what was an eroding waste-land in 1992 to an ideal out-door classroom with flowing creeks, patches of “rainforest refugia”, spinifex ridges, rejuvenated springs, open bush-land, pastures, swamps, frog-ponds and a diversity of habitat for native species. 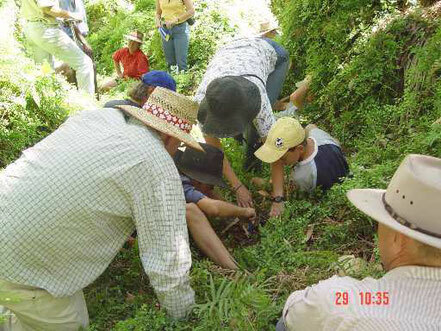 Most of the year Kachana Pastoral Company activities focus on actual land-management tasks. During some of this time we welcome others to make use of our classroom. 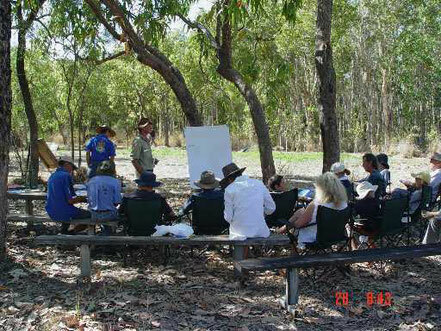 Kachana Station's Outdoor Classroom is available for hire at certain times between May and August of each year. Please contact us for a quote, preferably we would like 3 months notification to ensure enough time to organise logistics so you get the most value for your venture. Income derived from hiring out our “out-door classroom” goes back to restorative management of our natural resources.